The tournament in PE was tough, because our junior teams were playing with senior teams. 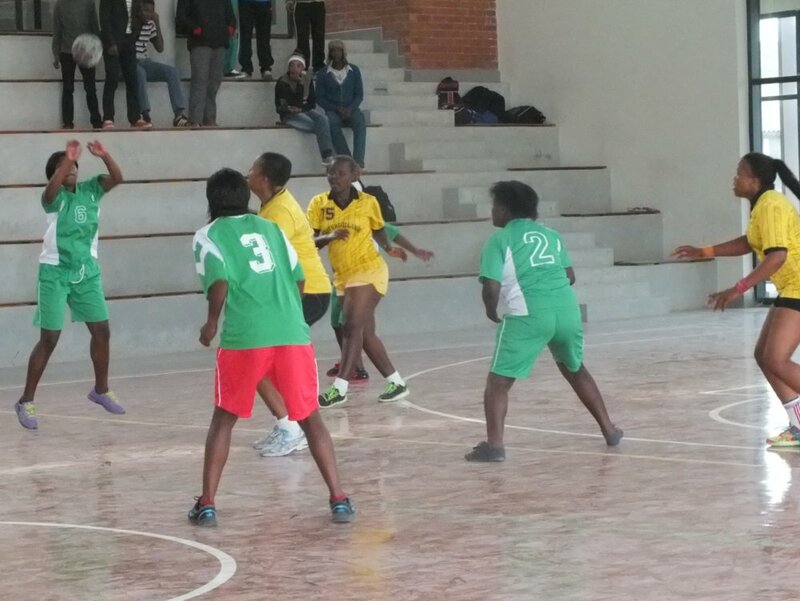 Both our girls and boys teams lost their first two matches against Vikings and St. Albans, but they won from the University of Fort Hare. 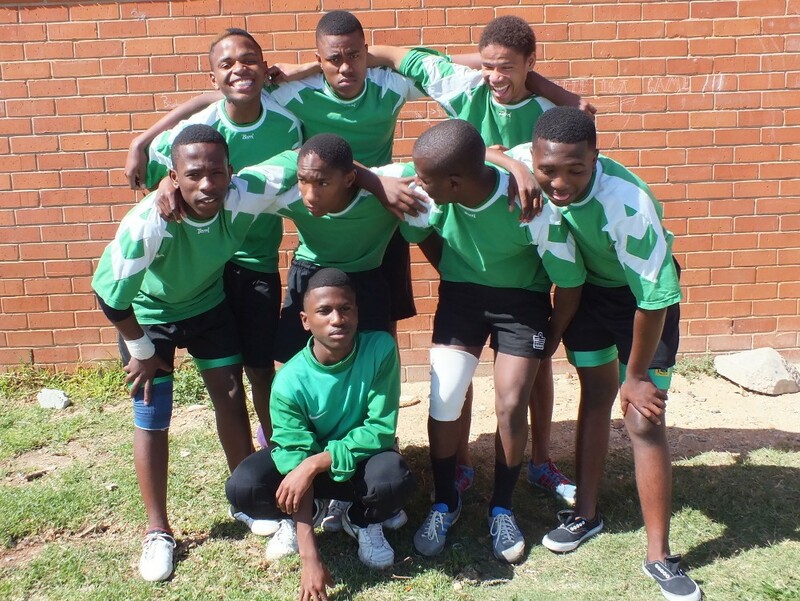 The tournament was used to select the Eastern Cape Senior Team and we are proud that our junior player Lifa Nxopho was selected for the team. The handball club has busy times. 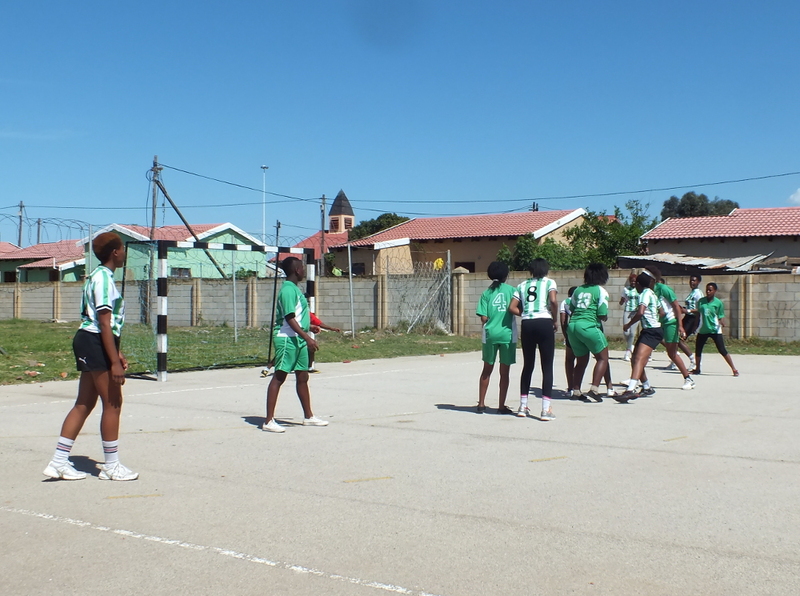 Two handball coaches from Grahamstown visited and helped at our training sessions for three days. 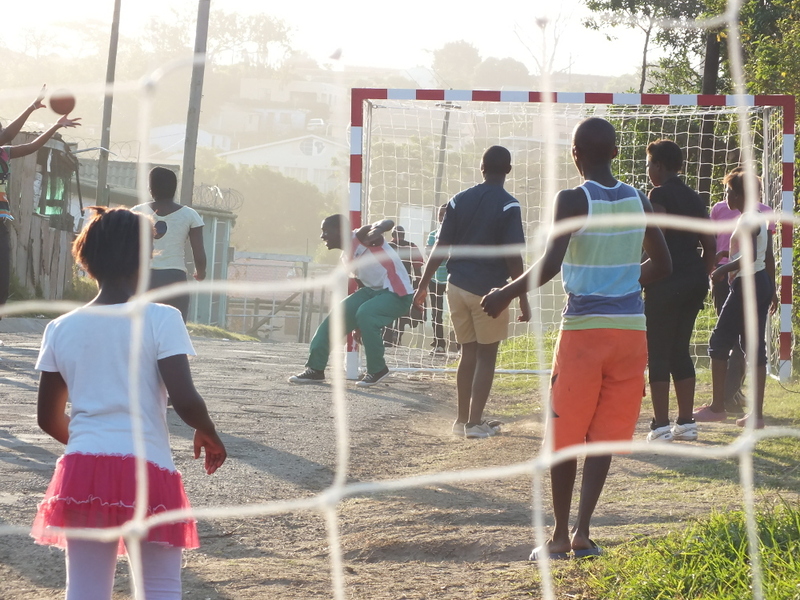 The Cacadu District trials in Grahamstown were a great success for our team. Our players are fast and won. All were selected for provincial trials. During another trip to Grahamstown we had a training session ran by coaches from Germany. 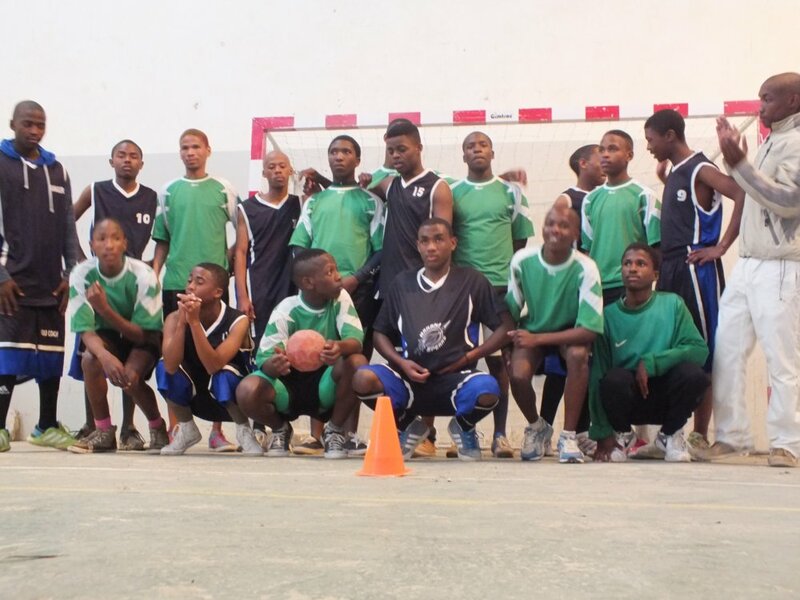 We were invited to senior trials in Grahamstown for the Eastern Cape team. We had a girls team and a boys team playing. It was a bit tough for our junior teams to compete against the strongest senior teams in the Eastern Cape. 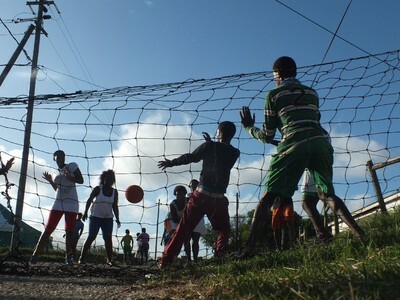 There were three girls teams and six boys teams. Our most successful player was our goal keeper Mbiko Nxonxuba, who was selected into the final trials and just missed out of the Eastern Cape team. In September we'll participate in the junior trials. The Department of Sport donated a set of handball goal posts to our club. It was too big for a bakkie, so the challenge was to find transport to get them from Grahamstown to Port Alfred. After trying for a very long time, we asked The President's Award if they could help us and in no time the goal posts were at our club. Thanks Brett for sorting it out! Thanks to the Department for the donation and The President's Award for the support. 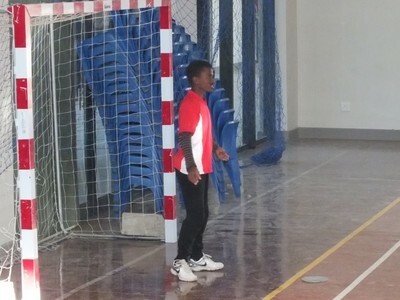 With the goal posts the handball club can practice with the real size post, not a net hanging between some chairs. That's a very different game! 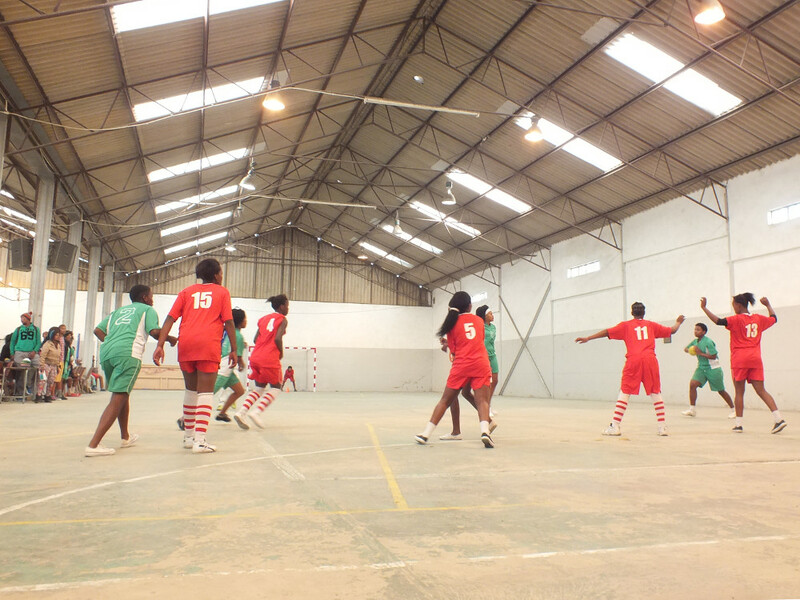 Last year our sports were divided by gender: girls doing handball and boys doing rowing, gymnastics and fencing. We challenged boys to started handball and in no time there was a team together. Girls started joining gymnastics. We are hoping to see girls in rowing and fencing soon. The handball boys are fast and furious. They train together with the girls and are lifting the club to a new level.